Long before the term courier service has been coined, people have already been moving goods since the ancient times. However, this method has come a long way through history before it guaranteed faster deliveries in greater distances. 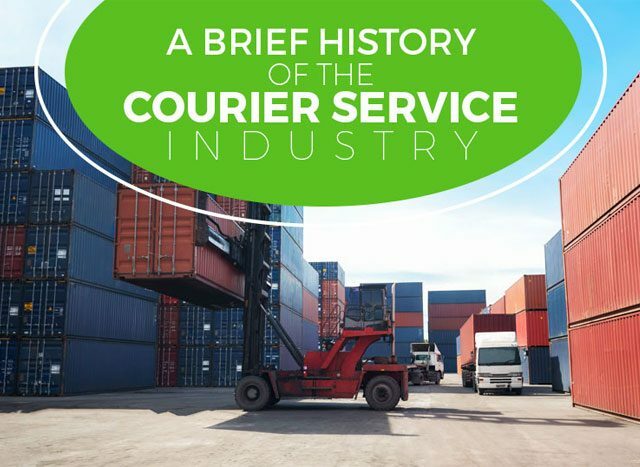 Here, Green Courier highlighted the evolution of the courier service industry – from human messengers to express deliveries – along with the significant developments within the timeline. The earliest record of transporting of goods is from the ancient Egypt wherein the couriers would deliver documents carved in stone. Ancient Egyptians also had to move materials at great distances in order to build the famous pyramids. In the ancient Greece, one of the most celebrated couriers is the Greek messenger who have participated in the Battle of Marathon and ran 26 miles to Athens to announce his victory. This physical exertion caused him to collapse and die, but his memory lived on in the form of the Olympic Marathon. Did You Know? The word courier is based from the Latin term currere which means to run. Indeed, the first foot messengers had to run distances to deliver goods. In addition to human messengers, a variety of animals also played a part in the history of courier service. Before there were motor vehicles, camels, horses, dogs, as well as carrier pigeons were used to deliver messages in what was then considered an efficient manner. The modern courier service you know today can be credited to a US entrepreneur named Jim Casey who started a messenger service in Settle with only a $100 in hand. The poorly-funded startup is now the successful multinational package delivery company, United Parcel Service (UPS). Later on, many businesses have followed suit, each with unique schemes and innovative services to keep ahead of the game. The improvement of roads and access to mobile transportations have also helped take the industry to the next level by allowing for smooth travels across the country. Airplanes and bicycle couriers were later commissioned for wider delivery options. The increasing reliance on online retailers has also caused couriers to diversify its operations at competitive rates. Today, commercial couriers are offering different types of services – including same day, door-to-door or international deliveries among many others – to meet the growing needs of consumers. The courier service has taken a long way before it became one of the largest commercial industries today — and, Green Courier is committed to continue this development by providing the UK with more environmentally-friendly and efficient options to delivering packages. Interested in our courier service?Get in touch today and let us know what we can do for you.